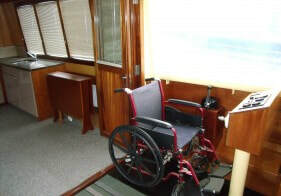 What a great idea to be able to steer a boat from a wheelchair. Being confined to a wheelchair for all, or some, of the time does not mean that you cannot go boating with family and friends. Boating at sea would be more challenging but inland waterways are ideal for this. Enough decent moorings for a wheelchair to get ashore, a slow pace of life and no rush. Our inspection launches are ideally suited to a wheelchair on a boat, with the accommodation on one flat level and with doorways, for example, made especially wide. Furthermore, the Peter Nicholls Inspection Launch design features a sociable bow cockpit, with steering position, where all the crew can be together. 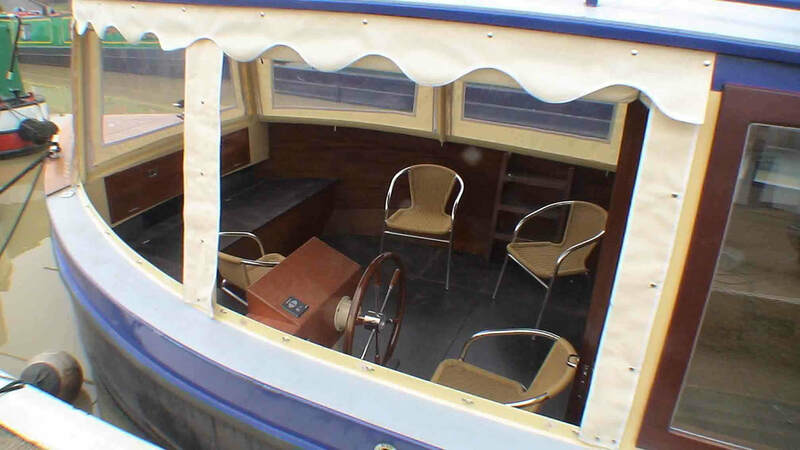 The helmsman can sit comfortably in the wheelchair and steer the boat, and crew member(s) can do the rope work, mooring up and the locks. Simple radio contact can be kept between everyone, so that the helmsman does not have to bellow instructions (!) and can receive “advice” from the crew. 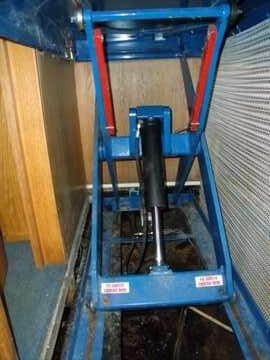 An electro-hydraulic wheelchair lift midships and a light aluminium fold down ramp allow the wheelchair ashore. 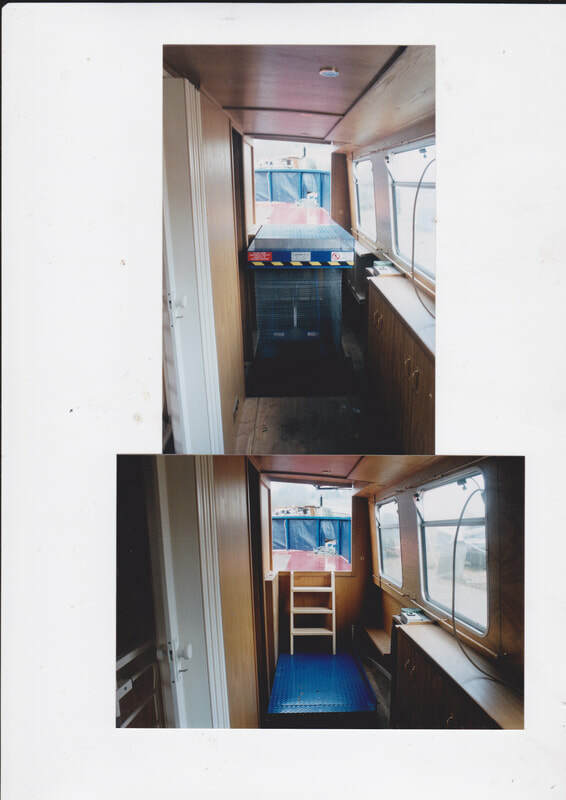 Same for the FCN and Thomas barges with a helm position midships and with a “Stannah” type stair lift giving access from the steering deck down to the accommodation below, though we have used a wheelchair lift here as an alternative. This page is being added to this month. Meanwhile please turn to the Inspection launch section where wheelchair accessible boats are featured, together with a video showing one in action. Click the photo below to get there. For wide beam inland cruising of Europe to RCD D category with steering from the bow or stern and under cover bow cockpit. 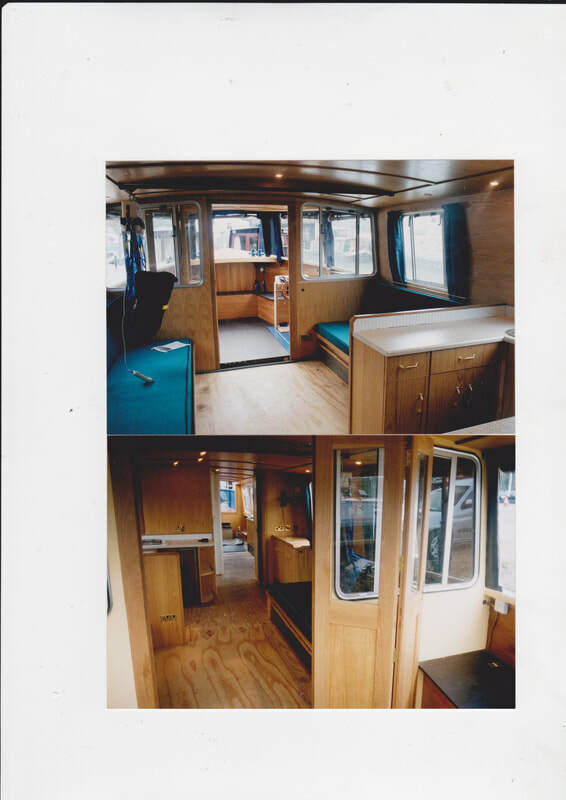 New, from the builders, a Peter Nicholls live aboard launch with 5 plus berths. 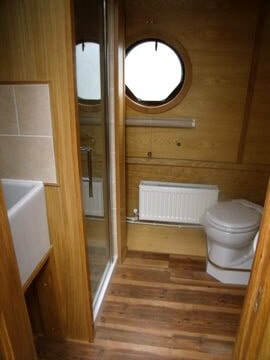 the boat is also ideal for use by the disabled , with the layout all on one level, with extra wide gangways and specially designed bathroom etc.